A visit to a museum is a search for beauty, truth, and meaning in our lives. Go to museums as often as you can. This entry was posted in Photo Friday and tagged character: Senna Hatcher, game: Sims 3, photo: model:couple:asexual, photo: model:female:young adult, setting: Sunset Valley. Bookmark the permalink. 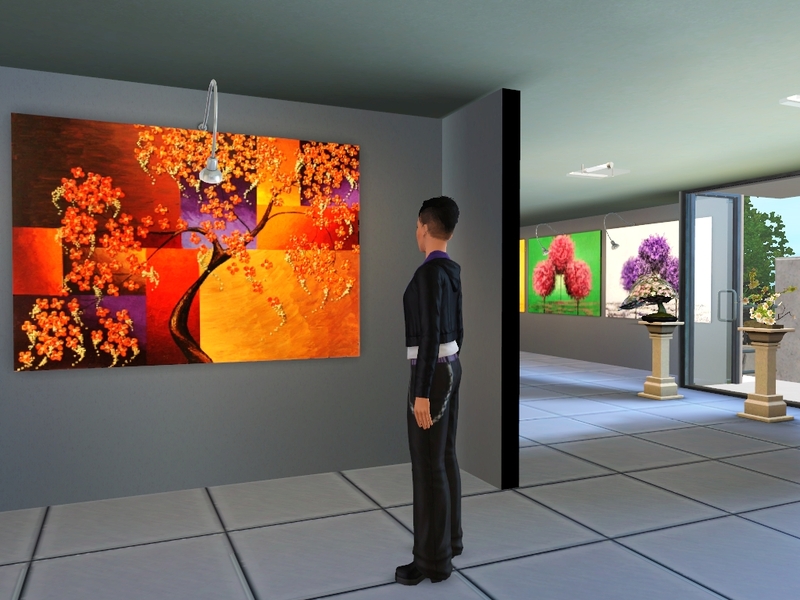 My Vallerians loves to go to the Museum of Art of Sunset Valley, I don’t think for arts (I have the whole collection of aroundthesims3 simmified real paintings) but for meeting people. I had a really awesome exhibit created, but unfortunately to show the whole thing would have spanned a bit more than what Photo Friday is (I would’ve needed probably a good 5-10 photos to show it all!) It was really fun for me to set it up though and find the artwork I wanted to display, since my theme for May is “May Flowers” — I felt much like an actual museum curator creating a themed exhibit! 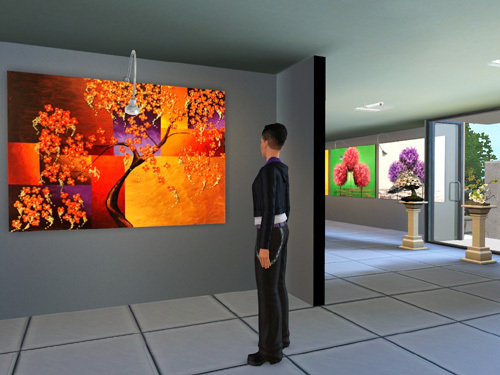 I know what you felt I myself redesigned the ground floor and the first floor of the SV’s art gallery, to choose the paintings, the sculptures etc. I would love to see what you do in full , okay it’s not of the spirit of Photo Friday but it’ll be pleasant to see. I don’t keep the save files around for Photo Friday stuff, but I do have all the cc for the stuff I had used linked down below on the Photo Friday (even if some of it didn’t get shown in the final selection of images). I guess you don’t keep all the pictures as well I bet. You are right, for taking pictures it’s not necessary to keep the saves.